I like the labels. I use them on all my mail. Very nicely printed. 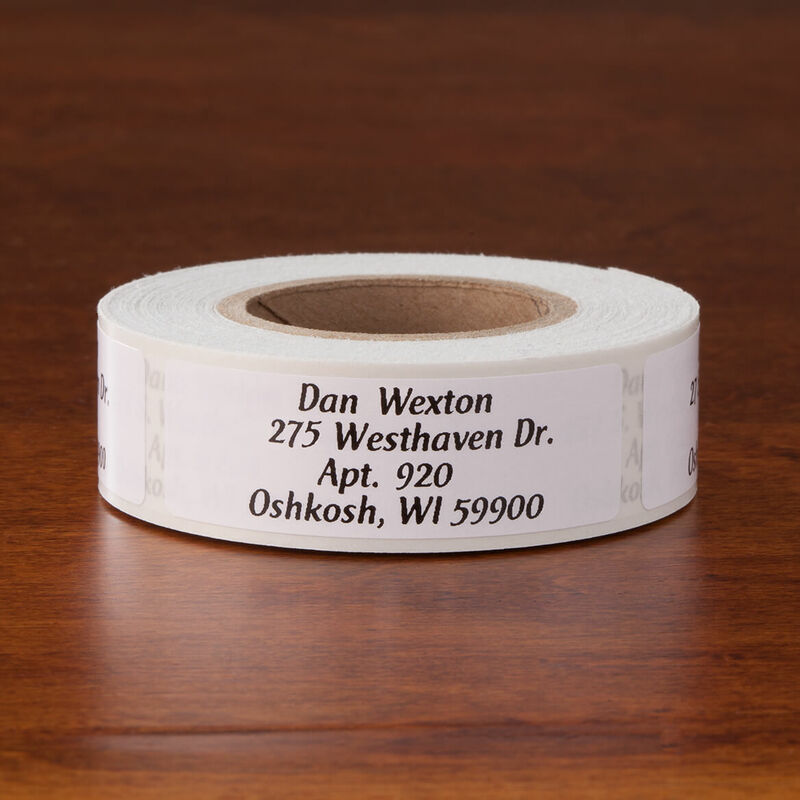 I Need Some New Address Labels So That Is Why I Order Them. I've ordered them before and liked them. I like script rather than block letters. I would have preferred that the clear address labels came in script. 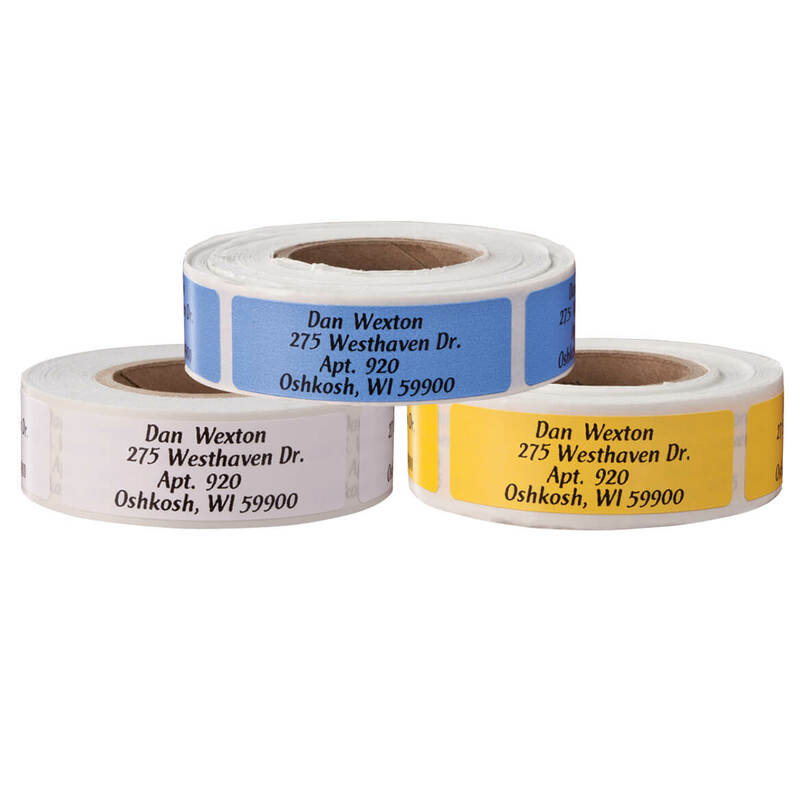 Moving Soon and would like labels instead of rewriting our address over and over. Convenience. Price was great and we needed return address labels. 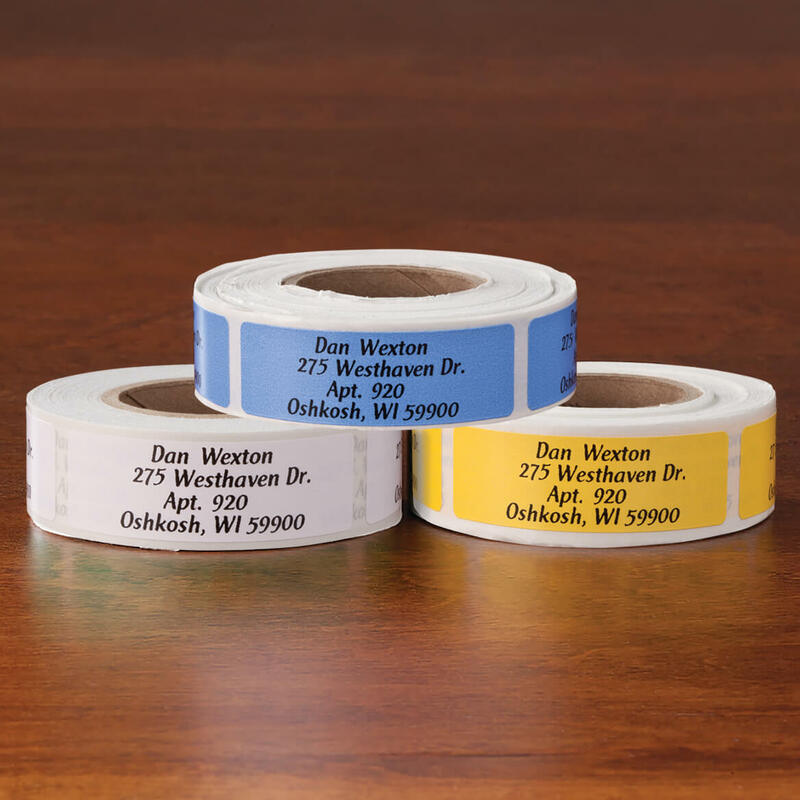 I've ordered these before and they are good quality labels. They save a lot of writing. Just stick one on the envelope and you are done. I like the rolls and self stick labels. I have white, gold, & silver labels, so green was my next choice. I am moving to a new place and needed address labels. I thought this was a good price. I need these and like the look. 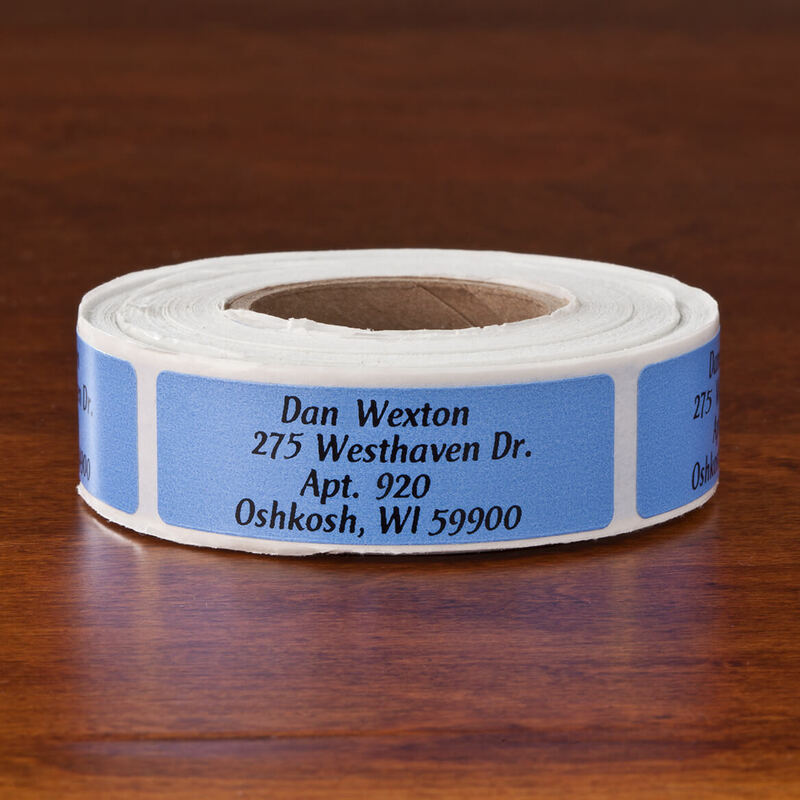 I like blue so I love these labels and labels don't run out of ink like stampers. 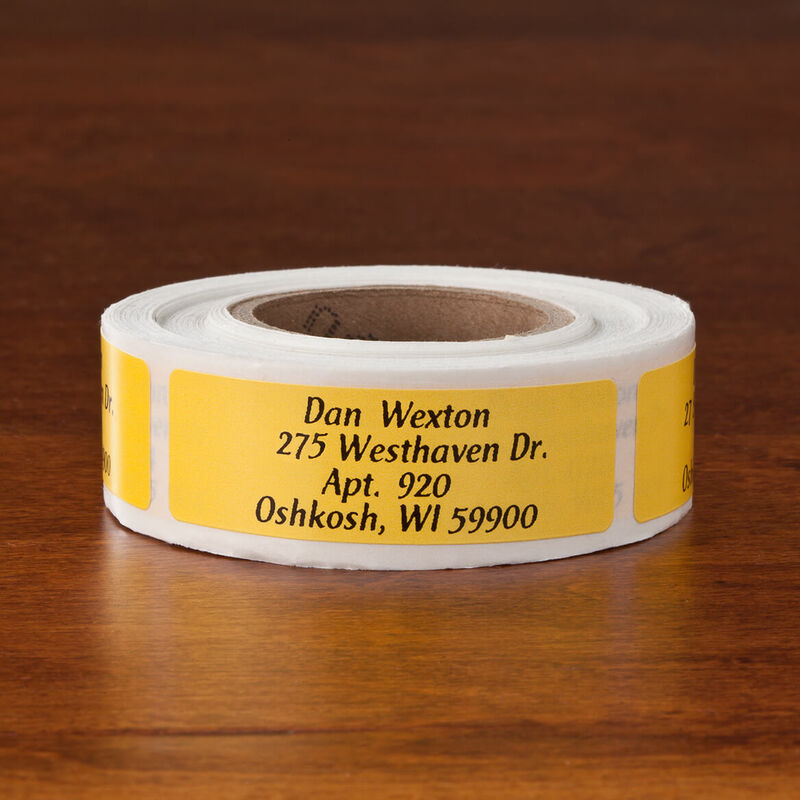 I have been using these address labels for years. I BOUGHT FOR MY SON. I'VE BEEN REAL HAPPY WITH MK'S ADDRESS LABELS IN THE PAST. IT IN ONE OF YOUR CATALOG. We are moving sometime in November.